The BEEP documentary project has interviewed countless video game music composers and industry members. While footage from each of these interviews is set to appear in the final documentary film, releasing September 30th, 2016, the BEEP team has allowed public access to the full interviews as "webisodes" when sponsored. 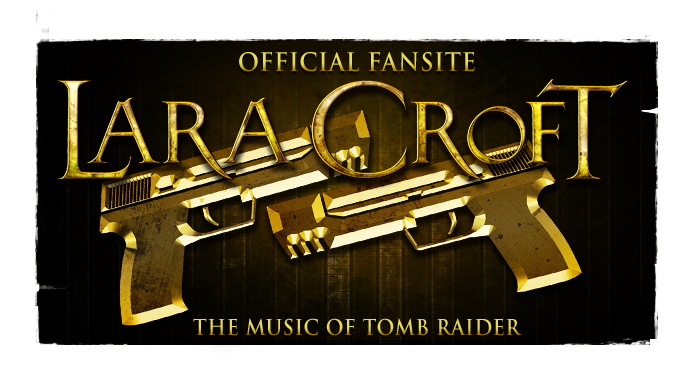 Among the project's interviewees were four involved with the music of the Tomb Raider franchise - Nathan McCree (Tomb Raider I, II & III), Alex Wilmer (sound designer/music supervisor/audio director on Tomb Raider: Legend through Rise of the Tomb Raider), Jason Graves (Tomb Raider, 2013) and Wilbert Roget, II (Lara Croft and the Temple of Osiris). BEEP explains that "interviews for documentaries often take an hour or more, and yet only a few minutes is ever used in the film". They've made the content available for the benefit of research and fandom, but the project is requesting financial support for this to be possible. The full interviews with Nathan McCree and Jason Graves are available from the selection. BEEP: A DOCUMENTARY HISTORY OF GAME SOUND is an unprecedented transcript effort by Karen Collins and Chris Greening and is available for preorder now. 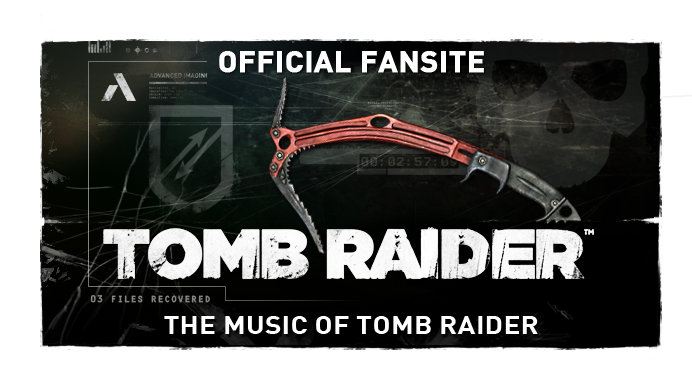 [re sound design/triggering music] "...Yes it did influence Tomb Raider, particularly because it was a free world sort of environment and we really had no idea of how long the player was going to spend in a particular area. We needed another way of creating an atmosphere instead of just plastering the thing with music, which I thought was the wrong approach. A better approach for me was to make the audio sound more real-life. So instead of using continual music I used continual ambiences. I used the CD tracks I would just record a sequence of atmospheric sound effects, caves, water-dripping, a few creature noises going off in the background... and these would be about 3 minutes long. They would fade out quite slowly so you wouldn't actually be aware that the track had finished. And just as it had faded out we'd send the CD back to the beginning and start it again. There'd be a moment, a couple of milliseconds, as the CD went back to the head again, where you'd actually have no sound at all. But you've got her footsteps and generally speaking they're not just stood-still, they're usually running around. So we actually covered those gaps just enough, and provided there was continual atmosphere. When the player got to a particularly awe-inspiring moment or some dangerous point in the game, then we'd trigger the CD to go to a piece of music. So you'd lose the ambience, and you'd go straight to this piece of music "dun-dun-dun-dun"... and of course but then you didn't really need the ambience, because suddenly the music was on and you were firing guns and it was all mayhem going on. And once the battle had finished, we'd skip to the ambience again and you'd hear the cave dripping come again. So it worked, yeah. An interesting process to re-learn - audio design triggering. We were using CUE-base at this point, which was vastly superior to my [SEGA] megadrive system. It just made writing so much faster and much easier. I could use a keyboard, a proper keyboard, instead of a QWERTY keyboard tapping in #C, you know, where's the G? etc. That change was brilliant and of course it meant that I could improve my piano playing skills and I got very very good at playing the piano which I was really pleased about. It got to the point for me that I was playing as fast as I could think, and I didn't have to think about my fingers anymore. They were just automatically going to the next notes that I was thinking of, which was a really fantastic feeling. I was always quite surprised at how successful Tomb Raider was, I have to say. And I'm still stunned to this day how much people have enjoyed the music. It was a crazy project because back in those days there was no game design document. It was just that somebody had an idea and the boss went "great! Let's make it. Right, off you go! ", and so we all just went off and started making it "what you doing? Ok! You need some audio? Right, ok well let's put this in. Well yeah you're going to have to code it up"... It was just a mess. Everybody was just chucking stuff in and then hopefully one day it was out on the shelf. I remember I'd written a load of cues for the game, music, and I said to [my boss] because we'd all been working nights, weekends, for ages... and it was the last weekend and we were gonna be releasing on Monday. It was Friday, and still, none of the music had been implemented. And the programmers weren't ready to implement it, they were still busy doing other stuff. I was like "You've got to get this music in, we've got 2 days man! ", "We're not ready, we're not ready! ", "Well look, I'm gonna go home. When you're ready to stick the music in, call me. It doesn't matter what time of day or night, just call me. And I'll come in [I only lived 5 minutes down the road] and we'll tell the guys where to stick all the tunes, where to plug it all in. We'll just go for it. Blitz it in 12 hours or something"... No phone call. I came in on Monday: "So what happened?"... "Oh it's out, it's gone, it's released."... I'm like "What?! But what happened with the music?"... "Oh yeah. Toby [Gard] stuck it all in last-minute" and I'm like "You're joking!". I'm then playing the game frantically looking at where all the music triggers are and going "Oh no! I can't believe... that should've happened... I didn't do that". This tune was cut in half, that tune was was cut in half. I was like "All my work!". At the last hurdle, someone else had just taken it out and gone and done it. It was a bitter pill to swallow. That's why I'm amazed and really really thankful that the fans liked it so much. Because it really has changed my life in so many ways. And I'm very very lucky yo have written that music and to have gone on and written the next two in the series. I still get fan emails to this day, people saying how much they'd enjoyed it, and I'm really really grateful for that. I got a little more time on number 2 and I spent a lot more time on the implementation for that, and the same for number 3. I worked closely with the designers getting the triggering for the music right... when to play and if the player goes back to the same area should we retrigger etc. So it was an improvement, certainly, for Tomb Raider II & III." 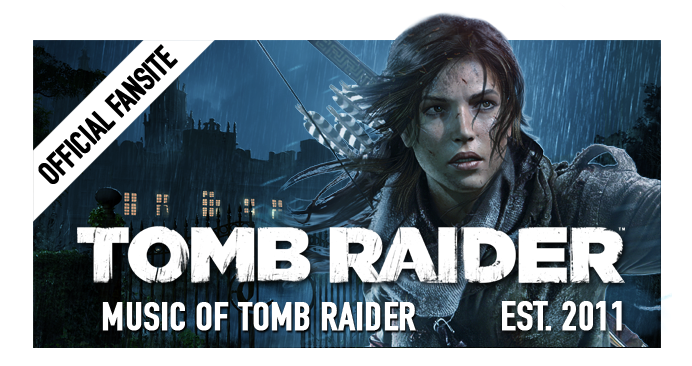 "There were so many wonderful opportunities in Tomb Raider that I feel like Crystal Dynamics entrusted me with, almost absolutely. And the biggest one was the theme. They wanted a new theme and that's no small responsibility, having played the first and second games and really grown up with it. Honestly, I was prepared for a lot of back-and-forth - that's just the way music happens a lot of the time. I've always been a big fan of ideas that you listen to and you can remember them, they're simple and hummable but also unique. But if you hear the reasoning behind it - e.g. there's a leap here because of this - there's a further connection to it. So when presenting something like a new theme for Tomb Raider, I love the idea of something slowly moving upwards, but then I had a leap. So there's a small step and then a big leap that resolves... the idea I almost saw her climbing or jumping the way she does, all the traversal stuff. In the beginning I always start with piano because it's the most straight-forward, everyone knows what a piano sounds like. Everyone can identify with it and it's a very simple way for me to figure out the chords. I thought it would be great if we could start out small like this because this is an origin story and she starts out naive and inexperienced and scared and grows from there. Very much like Dead Space 2, to get bigger it felt like I needed to go smaller. I was on that same kind of trajectory with Tomb Raider. I honestly didn't think that they would go for it because it was piano, simple, quiet, introverted... and they had nothing but great things to say about the very first demo that I sent. It was really really reassuring because it was in the beginning of the process and I knew if we could start with that and a solo cello, just two voices, that by the time we got to the end it would have an emotional impact and weight to it. There would be a line, musically speaking, that followed her journey. And we were able to arc the music in terms of the instruments and everything. As she progressed and got more confident more instruments are added, bigger drums are added. There was only really one over-the-top-game-music-cinematic-combat kind of thing in the very last sequence of the game... I was able to do that without any resistance from the developer at all. They just kept saying "this is great, this is great". I would've expected "the combat needs to be bigger, we need to be... etc. ", and they were right in line with what I thought. When that happens it's really really great."